Introducing GameSalad 0.9.92! — Welcome to the GameSalad forum! Another great benefit to Tweet Sheet is it’s automated URL generation. Whenever a player tweets from a game, Tweet Sheet will find that app on the App Store and automatically include a shortened URL to direct people to purchase or download that game. awesome job guys ... and thanks for the PRO price adjustment ... very reasonable and highly worth it. @GameTeamOne has prepared video tutorial walkthroughs for everyone! ENJOY! Amazing - Really really pleased with the Pro price adjustment brought down to around £190 UK Sterling. Keep up the good work. "Twitter integration has been a top feature request for over a year." 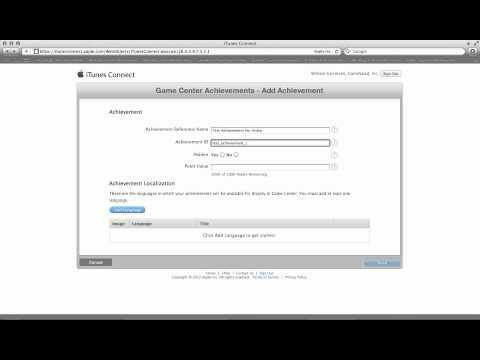 "Game Center becomes complete in Creator 0.9.92 with the additional of Achievement support." About bloody time! Finally I can update my games to be 'complete'. Thank you! You are amazing guys!! Thanks! So great news! The release notes mention compatibility with Xcode 4.3. Sooo... now that I've downgraded to 4.2 and have that happily working in Lion, is there any reason I should rush to upgrade to 4.3? @SaladStraightShooter Thanks for adding Twitter and Achievements. However I do not like that the sound delay has not been resolved for the Kindle Fire this could lead to a lot of revenue loss. Also take a look at this old thread there's a list of bugs some of them still needs to be addressed. Finally about the display text behavior. I received today my Kindle Fire and I must say that characters shown with that behavior looks even shittier than on iOS. Please take those guns in your avatar and point them to the head of the coders and make them fix it. Man this is awesome!!,!,! Price drop and everything! Achievements! Woohoo ! The twitter sheet sheet attaches a pic? So it takes a screen shot automatically? This is for sharing scores and stuff right? Thanks to all you GS guys! Price drop (extension for me ), improved Android performance, Twitter integration, & GC Achievements!! @3xL it doesn't take a screen shot. 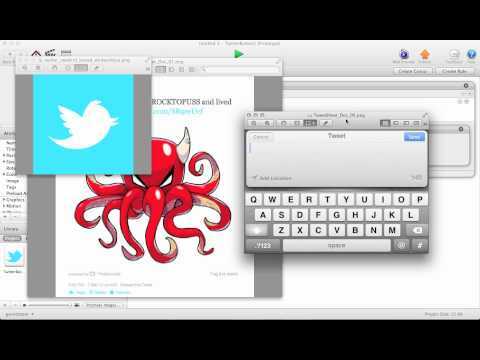 The developer picks an image to post with the tweet. So if you tweet something like 'I just defeated 10000 vampires and got the Infinite Blade badge. ', you can add the badge icon along with the tweet. ah ok. damn thats still awesome. @SaladStraightShooter To add to what I said before is it possible to have an official word on how the Achievement reacts when there's no internet connection? Since I doubt that you added the ability to check if the connection is on do I have to assume that in that case they will be lost? "Sound Issues on most new devices (Kindle Fire exempted). Sound delays fixed on most new devices (excluding Kindle Fire)"
@tshirtbooth - No, but it did improve a little. I have about a 0.5 second delay, much better then it was! @MarkontheIron - I'll see if I can't get some better language to put up on this - but if there is no internet connection, the achievements properly cache until connection is restored. @SaladStraightShooter If it's true it would be great, otherwise it would create a lot of angry users. Wow 0.9.92 is amazing!!! But where is Facebook intregation?? Coming soon?? When?? GS Love!! Soon hopefully. I see apple adding Facebook natively to ios like they did with twitter. @tshirtbooth Ok but what if the achievement was a one time thing? What if the user doesn't return to that scene? Are the achievement really cashed and fired when the connection return? I wonder if this release has any performance increase. @Tshirtbooth The problem is that this is not a very efficient way of handling it. GS should have thought of a way to do it in the background. Thanks tshirtbooth. Better playing it safe, I will also probably do it like this unless SSS come with better news. Really excited about this release. Great job guys! Nevermind my initial excitement. I just did an ad-hoc build for one of my newest games with this new version of GS and I'm experiencing A LOT of freezing. The game just completely freezes up randomly now. Still happy about the price drop & extension though. Good thing I have a backup save.....going back to 0.9.91 for now. Carry on.